We're sorry, reservation times are not available online for a party of this size on the selected day. Please call us at 724-222-7120 and we will see if we can accommodate your party. For parties greater than 8, please contact us at 724-222-7120 for assistance with your reservation. Please be sure to include your Guest Type (required by Angelo's). Newsletter: By selecting any of the following options, you agree to receive communications from Angelo's. We do not share your information with any 3rd parties. You can withdraw your consent at any time. 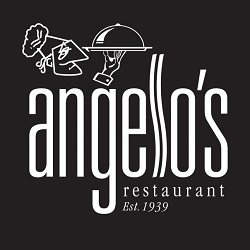 Stay personally connected to Angelo's with your free preferences profile. You'll have convenient access to Angelo's's news, promos and special events! And Angelo's can get to know you better with automated communication. Our party rooms accommodate from 10 – 65 guests. We have one area that can be partitioned into three units. Our conference table seats 10 and is great for business and family functions. You can schedule board meetings, luncheons and dinners. It is available starting at 9 am. The two other rooms seat 20 - 30 guests. When opened up, the space can accommodate 65 people. We can accommodate your birthday parties, your anniversary parties, bereavement receptions and any family friendly event. Business wise, we can accommodate seminars, presentations and sales meetings. 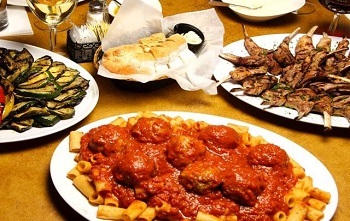 For more information contact Michael Passalacqua at Michael@angelosrestaurant.com or visit our Group Dining section.